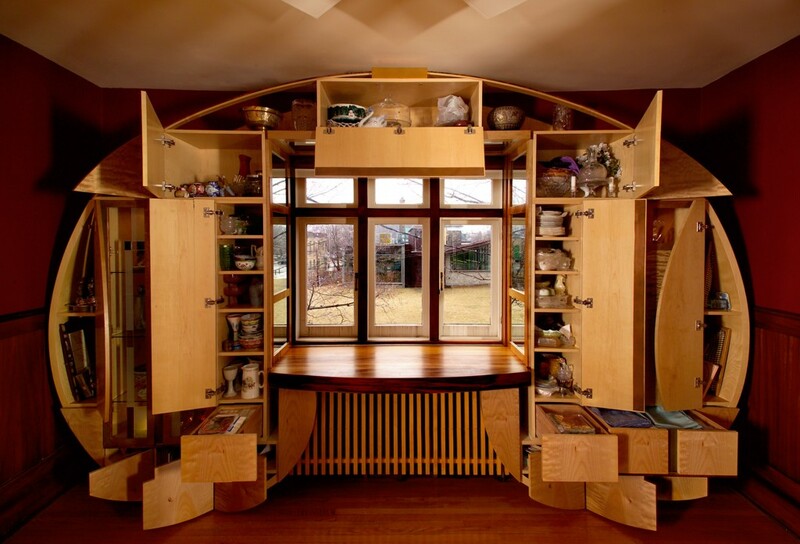 A rather detailed china cabinet built into a dining room, with a window seat overlooking the park outside. The shape of the unit follows the golden spiral. 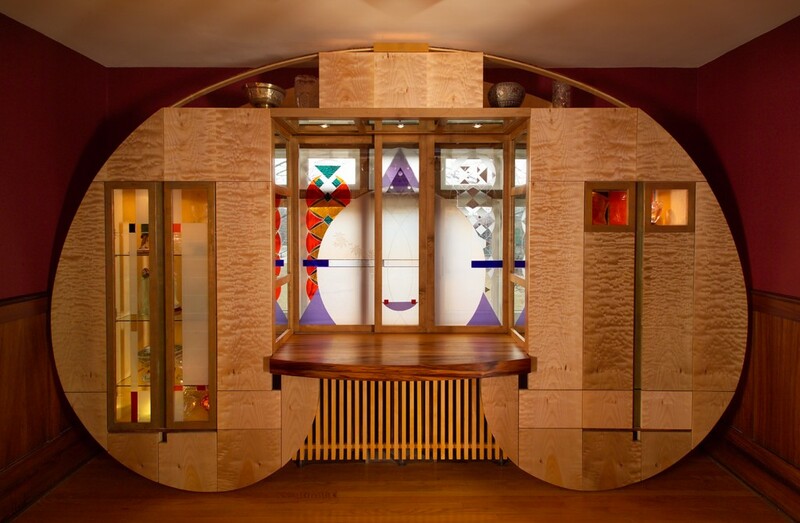 For curtains, wood frames with fused, coloured glass slide open to store behind the cabinet. Materials: Quilted maple veneers, red gum solids, copper, brass. Clear, etched and coloured glass, mirrors, lighting. Coloured with aniline and natural dyes. Clear lacquer by Glen Baker, as with most of our work. Design: Architect Circle, and the clients, practical issues by Metrik.